Although we should all know the rules of the road pretty well by the time we are in control of our own automobile, there are always a few gray areas on the road that cause the occasional–often avoidable–accident. One problem that many drivers seem to have, is knowing who has the right of way in any given situation. While you might think that it would be a relatively simple thing to figure out, how many times have you found yourself sitting at a four-way stop with three other drivers, all staring bewilderedly at each other? 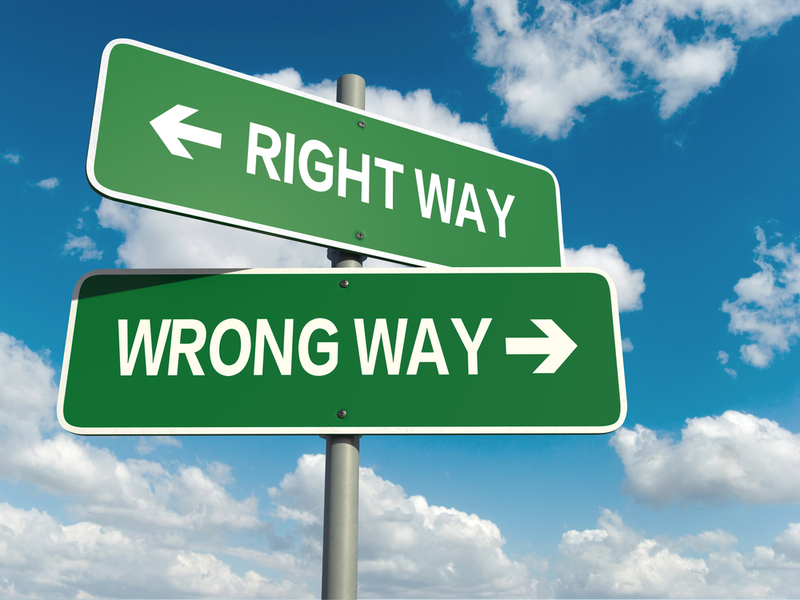 The first thing to know, according to the National Highway Traffic Safety Association (NHTSA), is that no one ever has the legally designated “right of way.” Instead, it is up to certain drivers in certain situations to yield the right of way. The trick is knowing exactly when these situations are, and acting accordingly. Here are some tips to help you know when you need to give up the right of way on the road. A good rule of thumb is this: at an uncontrolled intersection (no lights or signs) or four-way stop the first vehicle to arrive, is the first to go. So if you pull up to a four-way stop and see a vehicle already stopped there, you should yield right of way to them. You may have heard “give way to the right” a lot while discussing traffic rules, but this is only the case when you arrive at an intersection at the same time as another vehicle. Otherwise, the first to stop, first to go rule is the one that take precedence. At just about any intersection, those who are going straight always take priority over those who are turning. So if you are turning left, it is your responsibility to yield to the traffic going straight ahead in the opposite direction. If you pull up to an intersection that is free of stop signs, but you see a yield sign on in front of you, it is a good indication that you should yield! People are often confused about the correct way to navigate a roundabout (or rotary, if you are reading this from the East Coast!). However, it is relatively simple when you realize that most of the same rules still apply, only this time, you are giving way to your left (since the traffic moves counter-clockwise), and the person who is already on the roundabout should never have to yield. As suggested by a graphic from the NHTSA, the best policy is to simply wait. When you are not sure, it does not harm anyone to wait a little longer. However, it should be stated that this does not apply to instances when you know that you have the right of way, as unnecessary hesitation could cause more problems than it prevents. If you are still unsure of the rules around, a good idea can be to take a defensive driving course and sharpen up your knowledge.